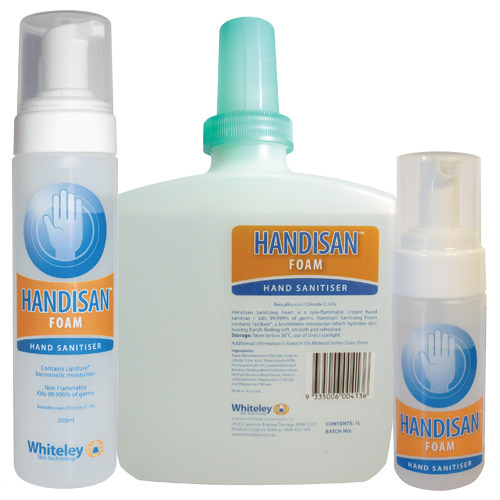 Handisan® Sanitising Foam is a non-flammable, instant hand sanitiser that can kill 99.999% of germs. It contains Lipidure®, a biomimetic moisturiser which hydrates skin, leaving hands feeling soft, smooth and refreshed. It is is alcohol free and non-flammable. 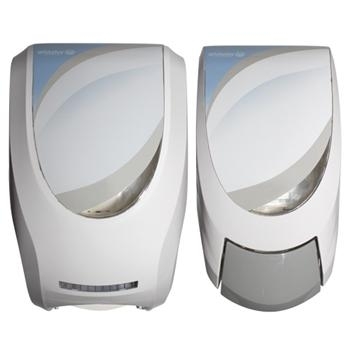 It is designed to be used instead of alcohol based hand rubs. Handisan® Sanitising Foam is non-intoxicating and is suitable for use by at risk populations. It is available in 55mL, 200mL and 1L pack sizes. Alcohol based hand rubs are classified as Dangerous Goods and therefore present a significant WHS risk, they are a potential fuel source and require special storage considerations. Using Handisan eliminates this risk.